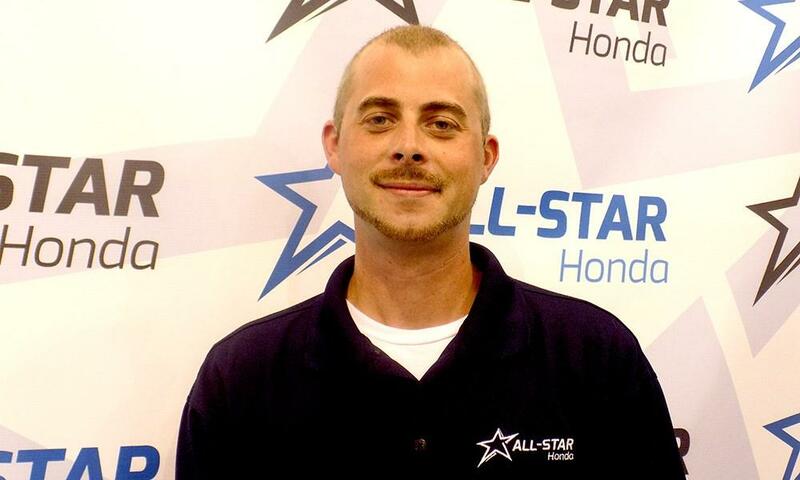 All-Star Honda's featured employee of the month for July is Jonathan Stein. He has been with All-Star for four and a half months as a Service Advisor. He is originally from Milwaukee where, at the age of 14, he attended a co-op program where he worked at an auto upholstery shop. Jonathan also took an automotive class in high school. As a Service Advisor, Jonathan relays information between technicians and customers. He ensures that the customer understands services and repairs and that the customers' expectations are met. A few great qualities that Jonathan possess that make him an asset to the All-Star team include being a hard-worker, goal-oriented and experienced professional. He is friendly with co-workers. Jonathan recommends All-Star Honda to customers because he feels "we are a friendly dealership that has the feeling of being a family." Jonathan's favorite sport is football and his favorite team is the Green Bay Packers.